Belfast's Michael Hoey has finished in a tie for 18th place after a good final round of 69 at the Malaysian Open. Hoey had slipped out of contention by scoring 73 in his second and third rounds but the 35-year-old will be satisfied with his closing effort. Russian Open holder Hoey had four birdies and one bogey to finish on six under par for the tournament. That was 12 behind Lee Westwood who won by seven shots at the Kuala Lumpur Golf and Country Club. 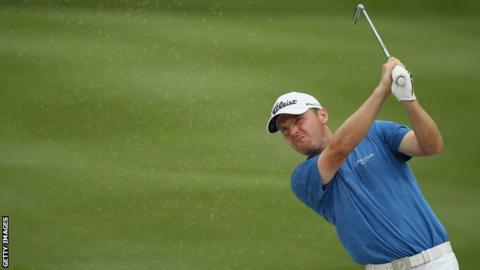 Austria's Bernd Wiesberger, South African Louis Oosthuizen and Nicolas Colsaerts shared second place on 11 under. Simon Thornton had a disappointing final day, his 78 leaving him on four over par. Play had been delayed for nearly four hours on Sunday because of the threat of lightning.